Here, we take a look at what are the best cordless stick vacuum cleaners for 2013 are -- with obviously all sharing the same specific advantages over your traditional vacuum cleaner of being lightweight (hence easy to manoeuvre & simple to store away), obviously cordless (saving the hassle of getting tangled with the cord and having to move from plug to plug) and compact (hence are good for those who are tight on storage etc.). Note that the order which they are listed doesn't necessitate 'how good the vacuums' are relative to one another, just that these following five have been highlighted as the best of the bunch -- with individual ones appealing to people with different needs & prefrences. 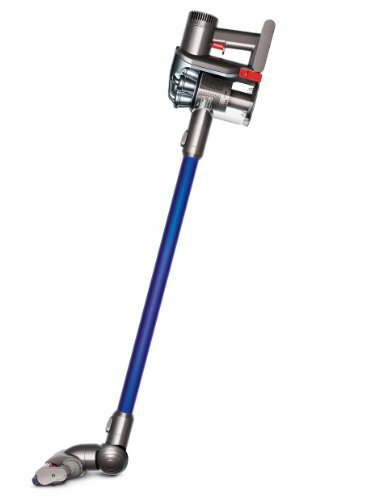 If I had the choice of 'any' cordless stick vacuum on the market, this would be it -- the Dyson DC44. Granted it ain't cheap but it does offer so many positives and benefits and just to mention a few: (i) it is 'very' (relatively) powerful operating on a dual power mode (standard: 28 Air Watts & Boost: 65 Air Watts) & unique Root Cyclone Technology (allowing for the bagless mechanism & pick up of microscopic particles). Moreover, (ii) it is also very easy to use and operate (weighing in at only 4.86 lbs with the weight distributed within the handle to allow for high to low cleaning). Primarily (iii), the DC44 is built with ergonomic and practical design (e.g. transparent bin capacity, an array of accessories as well as being able to convert into a handheld vacuum -- much like the Dyson DC34). [For more information regarding the Dyson DC44]. 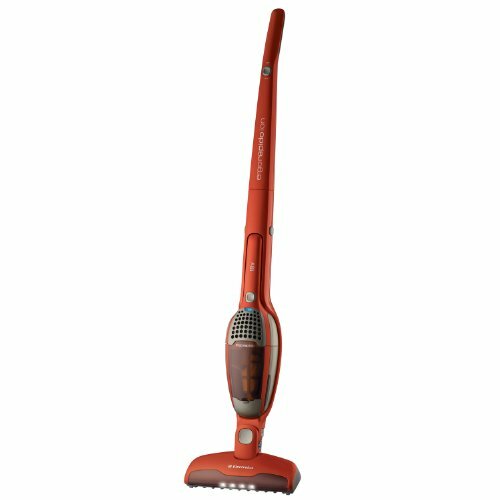 This model is the most popular stick vacuum cleaner of the range -- with over 2000 very positive ratings on Amazon.com, averaging 4.4 out of 5 staris -- and all for very good reasoning too. It offers an array of special features such as the 'Edge Cleaning Bristles' (that allows close cleaning encountering with skirting) and a Brush-roll mechanism (to optimise cleaning on various flooring e.g. hard-floor & soft-flooring) on what is primarily a very solid build -- it is lightweight (at roughly 7.25 lbs), easy to manoeuvre (has ergonomic hand-setting) and practical to use (e.g. simple dirt bin capacity release mechanism). Moreover, it comes at a very reasonable price tag of roughly just over $150. [For more information regarding the Hoover Linx]. Regarded as somewhat of a fierce rvial to the Hoover Linx in the market of cordless Stick Vacuum cleaners (given their similar pricing), is another one of my favourites -- the Ergorapido Ion. A distinct advantage it offers is the large run time it has compared to most cordless stick vacuums -- lasting up to 30 minutes -- as well operating to a high suction level with use of its fade-free 18 vol lithium ion battery. Another one being how incredibly lightweight it is at just 5.1lbs, making it a real delight to manoeuvre, particularly on hard-flooring. Moreover, like that of the DC44 it also has the ability to convert itself into a handheld vacuum cleaner for the more intricate jobs such as cleaning out the cars and on stair ways. [For more information regarding the Electrolux Ergorapdio]. The Delta Force somewhat goes under the radar -- and I am not sure why as it really is a fantastic option, and should be competing right up with the above two mentioned the Linx and Ergorapido Ion. A really great feature is that it has an even greater run time than the Ergorapido at 40 minutes (I think this is the longest that I have seen for any cordless vacuum) and offers decent practical features too (e.g. large bin capacity at just under 1 litre -- just to compare that to the Ergorapido at 0.44 litres.) and like that of the Ergorapidio it has a swivel head with a specifically designed low profile to get in and under furniture with complete ease. [For more information regarding the Rowenta Delta Force]. I wanted to include the former version of the DC44 as well -- the DC35 on the basis of pure value for money as to what you are getting. You still get many of the offerings that the DC44 (a little less powerful and not as long a rune time) offers but at more than $150 cheaper. 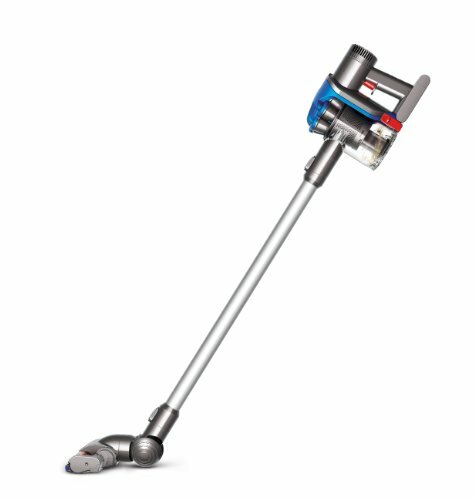 It offers the same distinct advantage of also operating as a handheld vacuum, being super lightweight (4.86 lbs) allowing you to vacuum not only low but high as well (e.g. ceilings and curtains). Moreover, it also comes with its own wall mounted docking station to keep it neatly stored away -- with an LED indicator to let you know its battery condition. [For more information regarding the Dyson DC35]. If you have any questions, comments or concerns regarding either the article or about any of the models specifically (e.g. DC44's mechanical specifications) then please do not hesitate to make them in the comments section below and we will be sure to get back to you as soon as possible.